THE MHSA- 7500A-7500B AEROSONIC HYPER-LINERS! What exactly is a HYBER/HYPER LINER you may say? 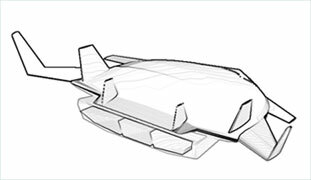 A MoTIS HYBER/HYPER LINER is a super expansive neo concept aircraft from the design engineers at team MoTIS that is designed to fly into and out of low earth orbits while transporting passengers in commercial airliner ferry style! Just imagine a trip for NEW YORK to LONDON in just short of 45 mins and the capacity to jump all points around the globe in just under four hours! The potential capabilities for an airliner of this type is mind boggling! 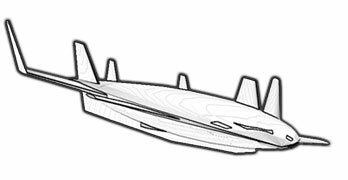 The HYBER/HYPER LINER will seat well over 300 passengers and have a cabin outfitted in the latest ergonomic luxury style! The reason that we at team MoTIS chose the name HYBER is becasue this aircraft is the composite of numerous neo concept technologies and years of research into the development of lift bodies, wing warping technologies, and complex vector analysis! 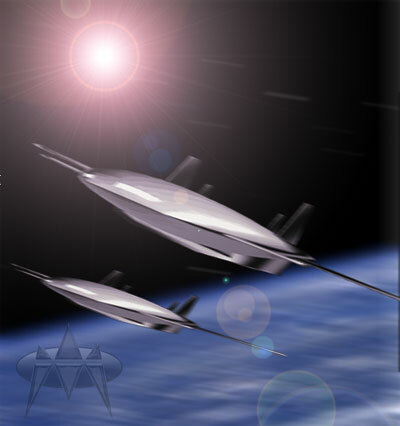 The HYBERLINER will be using a new technologies virtually developed be team MoTIS called the Trion Vector Shielding! The SONIC LINER is a true study in what is destine to become the next commercial transporter of the future! the SONIC LINER is the sole design and development work of team MoTIS and O WATSON and Jen Guess as its primary lead designers. The project was started in late 2003 and was put on the testing blocks with numerous other MoTIS neo concept aircraft and the aircraft has since been called to duty. The aircraft will bring back the old flight engineers position and will have a cockpit crew of three pilots and a cabin crew of eight cabin attendants! The MHSA- 7500 A and B are the next wave of high speed FS transportation under the FSREALITY sub heading! As test pilots for team MoTIS have been in the air for the past year and a half with this fine aircraft we are now finally ready to show off her sonic wings! We have been conducting FSREALITY flight tests at Mach 7 and higher and are very pleased with the flight test results! The MHSA also known as the SONIC LINER for short is one of the fastest and most stable aircraft to come out of the MoTIS X ROW DESIGN FACILITIES! The MoTIS HYPER-LINERS are a next generational step forward in bringing space and aviation one step closer together! 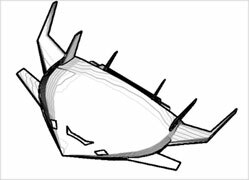 In mid 2004 team MoTIS posted the AEROSONIC HYPER-LINER project to our works in progress page and since then we have been heavy laboring on this great all in one high altitude low space orbital airliner! You may refer to this next generational neo concept aircraft as the HYBER-LINER or the HYPER-LINER! All the photos ,logos ,Trademarks, and designs are the sole property of the MoTIS Industries. We (MoTIS VJD) are a full fledge third party FS business and not a VA in structure or function. While we use simulations to test and prove certain neo concept ideas we in no way are just a MSFS/ XPLANE flight simulations function but exist beyond the world of simulations as an applications division using simulations to test theoretical or concept ideas for MoTIS copyright and patent uses. Copyright (C) 2002, 2003,2004 ,2005 ,2006 ,2007 by MoTIS INDUSTRIES. All rights reserved.